Tooth discoloration occurs when stains on the surface of the teeth or changes inside a tooth take place. Tooth discoloration can cause the teeth to appear dull, have white streaks or various shades of yellow if the enamel has worn away and the dentin is showing through. They may also look spotted brown or appear to have brown pits. Whether the condition is slight or extreme, it can be embarrassing and lessen a person’s self-confidence especially when smiling. Fortunately, tooth discoloration is preventable and treatable. Knowing what causes stains can help minimize the risk of having dull or discolored teeth. Knowing how to treat teeth that are already stained can bring back whiter teeth and a happier smile. 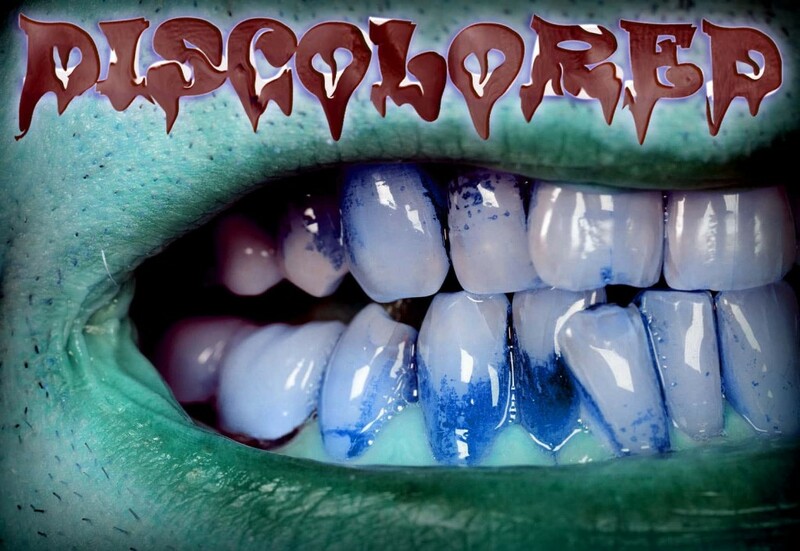 Extrinsic – When the enamel or outer layer of the tooth is stained, it is referred to as extrinsic discoloration. Consuming certain foods, like berries and soy sauce, can stain the enamel of the teeth. Regularly consuming beverages such as soda, coffee, tea and red wines will also discolor the teeth over time. Particular lifestyle habits such as smoking, any form of tobacco use and long term poor oral hygiene can cause extrinsic discoloration. Intrinsic – This form of discoloration transpires when the dentin, or the inner structure of the tooth, darkens or becomes yellow. Numerous factors can contribute to intrinsic discoloration including medications, trauma to the tooth and birth defects. Tetracycline is an antibiotic which can cause a discoloration of the teeth when used by the mother during the second half of pregnancy or when it is given to a child under the age of 8. Too much fluoride during early childhood can contribute to discoloration from within. Trauma to a developing permanent tooth, such as a fall which results in internal bleeding to the tooth’s root, can cause the tooth to become discolored. Age-related – This type of discoloration occurs when the dentin naturally yellows over time and the enamel that covers the teeth begins to thin with age. As this transpires, the dentin eventually shows through which allows the yellowing to be more apparent. When this natural occurrence is combined with the staining of the enamel, age-related discoloration becomes an issue. In addition, the normal wear on the teeth can cause chips, cracks and other damage which can trap stains within the teeth. Making a few lifestyle changes and avoiding certain medications can help prevent or improve tooth discoloration. Cutting back on the consumption of stain causing foods and beverages significantly helps the teeth maintain their whiteness. Tobacco is a leading cause of discoloration so stopping its use benefits the teeth. Maintaining proper oral hygiene is imperative in order to keep the teeth white and the mouth healthy. Brushing, flossing and using mouthwash daily as well as regular cleanings by a dental hygienist can prevent or improve discoloration. Some extrinsic stains can be removed by using over the counter whitening treatments such as whitening toothpaste, whitening pens, strips and at-home whitening gel-trays. In-office whitening treatments effectively whiten the surface of the teeth but it can take several appointments to gain the desired results. Laser teeth whitening utilizes a gel, in combination with a special light, to activate the chemicals in order to quickly and effectively lighten the teeth up to 5 times lighter than the current shade. If the discoloration is due to intrinsic causes or age-related issues, whitening may not help. 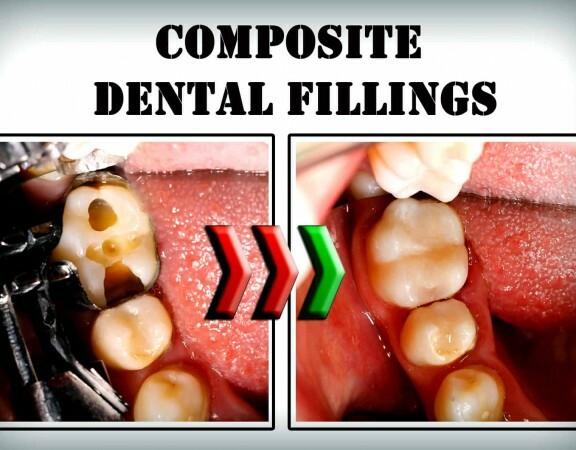 In these cases, the teeth may need to be covered with a color-matched composite dental bonding material that is applied and hardened with a special light which bonds the material to the tooth. Some patients choose to cover their discoloration with veneers. These thin ceramic shells permanently cover the outer surface of the teeth. They are bonded to the front of the teeth and can also improve the shape, size or length of the tooth.